Back by popular demand, LicenseCube is proud to announce that we have added Windows Virtuozzo licensing to our license lineup. With a Virtuozzo license, you can take advantage of all of the excellent features offered by this product so that you can integrate all of your servers together with ease. In the past, LicenseCube only offered Virtuozzo for Linux, but we have seen that Windows Virtuozzo is also in high demand. With the Windows VPS market growing at an incredibly fast pace, Windows Virtuozzo is a must for many business owners. Parallels, one of the leading automation programs on the market for VPS management, is staying ahead of the game by innovating so that their systems remain on the cutting edge. A few issues arose in the earlier release of the Virtuozzo software: bugs occurring during the upgrade process from Open VZ to Parallels Virtuozzo Containers, issues working with the Ubuntu 10.04 OS template, and incorrect load values appearing in vzlist. Parallels Virtuozzo Containers have now been upgraded to fix all of these issues so that the company can present the best version of Virtuozzo’s tools 4.6 virtualization software for VPS. Licensing Parallels Virtuozzo Containers is one of the best ways to manage and secure your VPS, shared, or dedicated servers. You will be able to seamlessly use the automation and virtualization components of the Virtuozzo software to make managing your servers nearly effortless. Virtuozzo is one of the most innovative and advanced virtualization programs on the market, and it is an exceptional tool to help manage your VPS directly from the control panel you choose. During this update to Virtuozzo, many other features have been improved on the system to give you a more comprehensive package and improve the functionality of the program for your hosting, web development, or web design business. The upgraded features include the ability to create and manage containers based on the Debian 6.0 EZ template directly from the control panel. You will also be able to manage containers using the vzctl utility and apply EZ templates via the ‘vzpkg’ utility. These improvements have removed numerous errors that were causing issues for people using the virtualization software to secure and control their VPS hosting environments. Now, with Parallels Virtuozzo Containers, your information will be secure, and you will be able to offer your clients an optimal web-hosting environment. 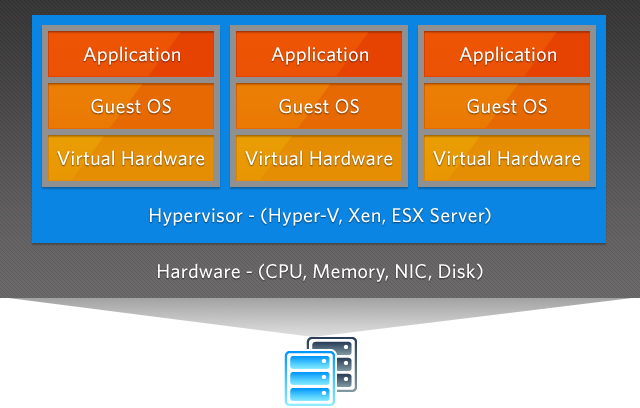 How Does Virtuozzo Compare to other Virtualization Platforms? 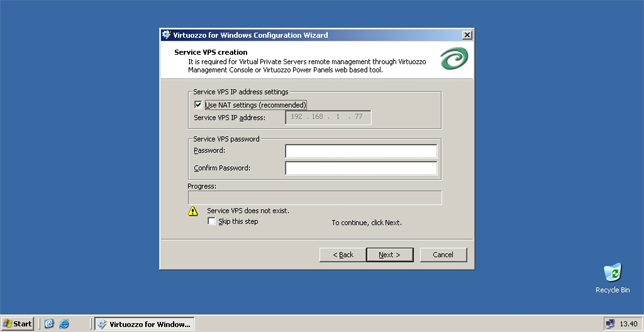 Virtuozzo is one of the most popular virtualization control panels, and it allows for a couple of different things to happen. One is the ability to oversell resources, which isn’t a feature that is available in other select virtualization technologies. The second is that Virtuozzo has a powerful API feature that many other virtualization platforms lack. The API allows you to integrate into any existing billing system out there, if it is not already integrated into the system. The third party integrations are very important to many people that use the control panel, so this is one of the distinct benefits to using Virtuozzo instead of other available software programs. Using software that is built just for web hosting companies should also give you an edge, as there is less configuration required from an administrator’s perspective. Virtuozzo was specifically designed for the hosting industry, so it incorporates some of the technologies that are imperative to the successful functioning of web servers with tens or even hundreds of virtual private machines attached. Virtuozzo is an extremely versatile platform that will give your control panel the management and organization tools that you need to really take your business to the next level. With Virtuozzo, you can compile many different servers into a container so that you can monitor and control them with ease. Other virtualization programs are limited, but Virtuozzo is extremely adaptable to meet your needs. Many people find that Virtuozzo is the best software program on the market, and it provides them with a productive edge against the competition since they do not have to tackle separately updating and maintaining servers without the help of virtualization software. Virtuozzo is indisputably one of the leading software programs in the industry for control panel management and virtualization, and there are a lot of distinctive benefits to using Virtuozzo containers to help contain your servers and manage them more effectively. Plesk for Windows – Coming to a Hosting Company Near You! The fight between Parallels Plesk and cPanel is really quite simple. 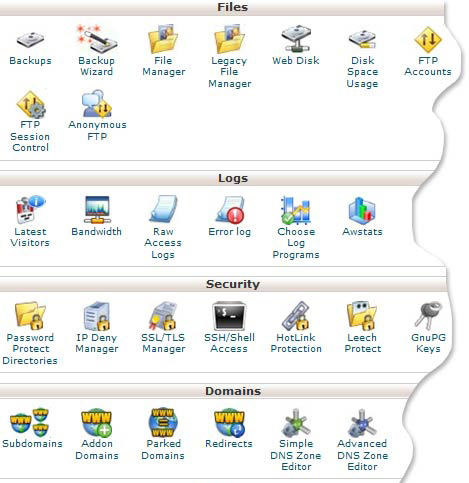 Plesk is bigger, faster, and simpler than cPanel, and it offers a great deal of flexibility that the older relic cPanel simply hasn’t shown the capability to offer. The fight has been evened up substantially when cPanel released Enkompass for windows, and Parallels latest version of Plesk for Windows has the challenge right back on track. The question now is who is going to take the most market share given that they are both offering Windows-based control panel services? Plesk for Windows is something that LicenseCube is proud to bring to the market segment. Many people love Plesk for Linux, but without an option to use it on a Windows OS, the Plesk Control Panel was extremely limited. Parallels has now opened many new opportunities for itself by offering Plesk for Windows. Customers will now have the opportunity to host customers on Windows VPS servers and offer them a control panel that can seamlessly and effortlessly integrate with Virtuozzo. The easy-to-use interface on Plesk has always been a huge selling point of this particular software program, and the new Plesk for Windows will have the same type of intuitive interface as the program for Linux. Additional features that can be found on the new Plesk for Windows control panel are things like ASP, ASP.NET, MS SQL, ColdFusion, and other programming services that cannot be used on the Linux Operating System. Windows has a variety of unique features that can only be found on the Plesk for Windows control panel, and Parallels will now allow customers to take advantage of the new control panel so that they can optimize their virtual Windows environments. Parallels Plesk is one of the leading providers of control panels, and now that they have introduced a version of Plesk for Windows, many people will be testing out the new program to see how well it works for their unique situation. Parallels Virtuozzo is a very powerful and very widely used product. In fact, when you purchase a license for Virtuozzo, you are choosing a program that currently powers more than ten thousand virtual containers in more than one hundred eighty geographic locations around the globe. Parallels Virtuozzo containers have been available on the market for the past eleven years, which has given Parallels the time and opportunity to become the most trusted name in virtualization in the web hosting industry- an opportunity that the company has taken full advantage of. LicenseCube is a top licensing reseller, and we are proud to be able to provide a laundry list of configurations for Parallels Virtuozzo licenses on both Windows and Linux as well as support for dual and quad core processors and much, much more. We want you to always feel comfortable purchasing your Virtuozzo licenses from LicenseCube, and we want you to be fully confident that we are the best choice for you. Take the time to look into our company, our history, our future, and our offerings and we are confident that you will see just what it is that makes us the best option. LicenseCube offers more than just license reselling. When you purchase a license for any virtualization software or add-ons from us, you get more than just a product key, you get a wide range of what we believe to be critical benefits. We offer 24 hour a day 7 day a week support, we provide priority updates as soon as they are released by Parallels, and we work to provide you with numerous other benefits as well. We believe that it pays to be a LicenseCube customer, and we work to offer our clients and customers as many perks as possible. Virtuozzo is a leading virtualization option, and we want to be the leading choice when you are seeking a Virtuozzo license. SolusVM Alternatives – Do They Exist? Virtualization is still one of the biggest things for hosting resellers, but many feel that SolusVM is the only virtualization option available. It is true that SolusVM is one of the very few programs that is geared specifically towards a cost conscious market, which means that finding a viable and equally beneficial alternative is a bit harder, but that does not make it impossible. There are certainly alternative virtualization programs out there, but it is going to take a bit of hard work and research to find one that offers the same benefits for the same price point as SolusVM license. In truth, you are likely going to need to spend more in order to find another product. The best alternative to SolusVM is absolutely going to be Virtuozzo from Parallels, but the bottom line is that you are going to have to spend more in order to make the switch. If cost is your main reason for using SolusVM, you may be best to continue using the program, but if cost isn’t a factor, you may find that you prefer Virtuozzo for a number of reasons. It is worth noting that Parallels Virtuozzo, is the absolute leader when it comes to virtualization. The company has been doing virtual machines since 2001, which is when Virtuozzo, or VZ, was created as a container management system. You will find that Virtuozzo offers a very wide range of tools and features that you can use to manage your virtual container environments on a day to day basis. The program is certainly a viable and recommended alternative to SolusVM. While it is a more expensive virtualization option, most find that the added features and tools, combined with the experience and reputation of Parallels as a whole, make it one that is well worth the upgrade.